For some strange reason there was no publicity given to this excellent news about the decline in violent incidents against Jews!! After the 2017 Labour Party Conference, the overwhelming majority of delegates made it clear that their sympathies lay with the Palestinians not the Apartheid State of Israel. The Jewish Labour Movement and Labour Friends of Israel left the Conference with their racist tails between their legs, determined on revenge. 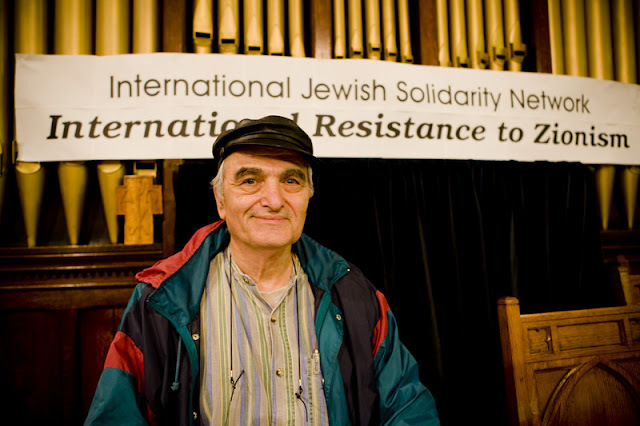 They soon alighted on an article by Professor Moshe Machover distributed by Labour Party Marxists entitled ‘Anti-Zionism does not equal Anti-Semitism’. A section on Nazi Collaboration covered certain embarrassing episodes, such as the welcome leading Zionists gave to Hitler, who they saw as vindicating everything they had argued for about the need for Jews and Germans to separate. Moshe mentioned the order of Reinhard Heydrich, Deputy Leader of the SS, stating that the Zionist organisations were to be given preferable treatment. All this and more can be found in e.g. Lucy Dawidowicz’s War Against the Jews. Moshe also referred to the Zionist welcome for the Nuremburg Laws, “the most murderous legislative instrument known to European history” [Gerald Reitlinger]. The Zionist view that Jews were a separate nation and therefore not part of the German Volk (people) accorded with Nazi beliefs. To most German Jews, the Nuremburg Laws, which stripped them of German citizenship, meant that they were aliens in the country they were born in. Zionism has come full circle with the passage last week of the Jewish Nation State Law which officially confirmed that Arabs do not have national rights within Israel. Unsurprisingly the JLM saw red (for the first time in its history?!). At the beginning of October Moshe received a letter from Sam Matthews, notifying him that he had been expelled under Rule 2.1.4.B. for either belonging to or supporting the Communist Party of Great Britain and Labour Party Marxists, which wasn't true. However Matthews had bitten off more than he could chew. Machover is an internationally renowned academic, a Professor of Mathematical Logic, as well as being an Israeli anti-Zionist and founder of the Israeli Socialist Organisation Matzpen. The Labour Party was deluged with protests by branches and CLPs and it was clear that Matthews had bitten off more than he could chew. Within 3 weeks Moshe’s expulsion had been rescinded. However Zionists, like elephants, have long memories. If they lose the first time then they sooner or later come back for a second bite. You might think that Moshe, like all academics, was offering his opinion on a matter of wide public interest. But you'd be wrong. Zionism is a totalitarian ideology and the CST's slimy snoops, who are part of the Zionist Inquisition, pore over peoples' pronouncements for any sign of heresy. These little Torquemadas go out of their way to be offended. 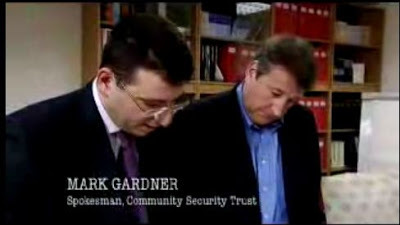 The Zionist ‘charity’ Community Security Trust immediately accused Moshe of a ‘disgusting slur’ by suggesting that the pro-Israel lobby “was exploiting the legacy of the Holocaust to try to silence criticism of the country.’ Furthermore Moshe claimed that Gilad Erdan, Israeli Interior Minister and his Ministry of Strategic Affairs was behind the campaign against Labour’s new guidelines on anti-Semitism. How shameful, you might think, to draw attention to the elephant in the room. On my reading Moshe didn’t say what the CST alleged. But he would have been completely entitled to have said that the Zionist movement exploits and always has exploited the Holocaust. There are innumerable examples. Defenders of Israel always, without exception, point to the creation of Israel as compensation to the Jewish people for the Holocaust. Holocaust analogies are to Israel what butter is to bread! Was it not Israeli Labour Foreign Minister Abba Eban who described the Green Line separating Israel from the Occupied Territories as the 'Auschwitz Borders'? Or Menachem Begin who described Yassir Arafat under siege in Beirut as Hitler in his bunker in Berlin? Or how about Matan Vilnai, the Deputy Defence Minister, who threatened a 'bigger Shoah' (Holocaust) against the Palestinians of Gaza? Or Netanyahu who stated that 'it is 1938 and Iran is Germany.' The examples of legion. For the CST to suggest that saying Israel uses the holocaust is antisemitic, I can only assume that even as I write their collective noses are growing. And no, before I am accused of an antisemitic joke I'm referring to Pinnochio's nose not the stereotype of Jewish noses! No opportunity is lost to cast the Palestinians as continuing Hitler’s campaign of extermination. At Yad Vashem, the Holocaust Propaganda Museum in Jerusalem, there is a picture of the Mufti of Jerusalem on the wall sieg heiling a group of SS Stormtroopers. As Tom Segev, an Israeli historian and journalist wrote, its purpose is to ‘‘conclude that there is much in common between the Nazis’ plan to destroy the Jews and the Arabs’ enmity to Israel.’ (The Seventh Million p.425). Israeli Professor of History, Edit Zertal noted there hasn’t been a war involving Israel ‘that has not been perceived, defined, and conceptualized in terms of the Holocaust.’ Israel has mobilised the Holocaust ‘in the service of Israeli politics.’ Israel’s Holocaust and the Politics of Nationhood. Just last week we saw a particularly sickening example of just how Israel and the Zionist movement use the Holocaust as a political prop. Hungary’s anti-Semitic Prime Minister, Viktor Orban, visited Israel and, as is the case with all official visitors to Israel, Orban stopped off to shed a few tears at Yad Vashem. Outside a group of Israelis, including Holocaust survivors, held a protest at the visit of a man who has sought to rehabilitate Hungary’s pro-Nazi war time leader, Admiral Horthy. Horthy presided over the deportation of nearly ½m Hungary Jews to Auschwitz. There is little doubt that he could have put an end to the deportation of the Jews at any time between May 15 and July 7th 1944 if he had not chosen to disbelieve reports of their extermination. Indeed there is little doubt that Horthy was aware what the fate of the provincial Jews of Hungary would be. Yet Orban called him an ‘exceptional statesman’ and is waging a campaign in Hungary for his rehabilitation. This is the man Netanyahu calls his friend. At no time and on no occasion have British Zionists - from the Board to Labour Friends of Israel or the Jewish Labour Movement even raised a murmur. According to the CST’s interpretation of the IHRA both Veronika Cohen and Yael Weiss-Reind are anti-Semites. In Israel comparisons with the Nazis are run of the mill. Assassinated Israeli Prime Minister Yitzhak Rabin was dressed up by his opponents in SS uniform. Professor Yeshayahu Leibowitz, who won the Israel prize, described the Jewish settlers on the West Bank as Judeo Nazis. Menachem Begin compared Yassir Arafat in the Beirut siege to Hitler in his final days in a Berlin bunker. 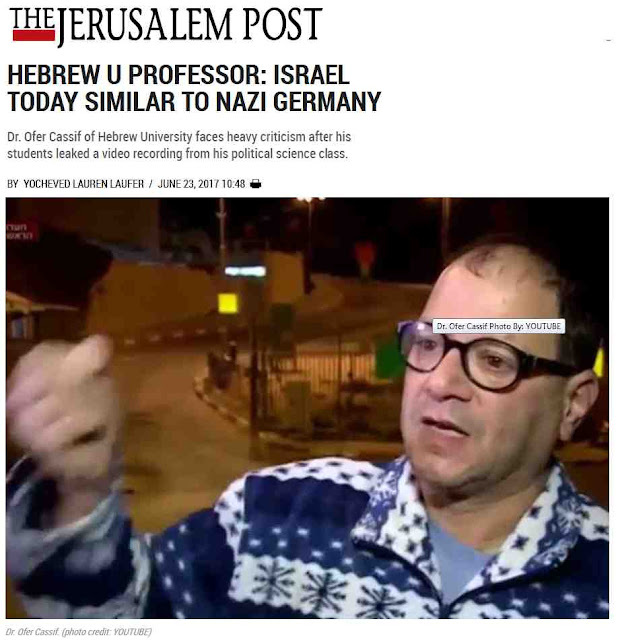 Israeli Professor Ofer Cassif compares Israel to Nazi Germany - shock horror! Hebrew University Professor Ofer Cassif compared Israel to Nazi Germany as did another Hebrew university academic, Daniel Blatman, a Holocaust researcher, who compared Israel to both South Africa and Nazi Germany. The Community Security Trust are an overtly Zionist charity. Most of their work is taken up collating statistics on anti-Semitism and in providing protection for Jewish schools and premises. They are lavishly funded through Home Office grants. Two thirds of their income, £20 million came from government grants last year. Their latest accounts show that have over £16m in assets. Although the Charity Commission does not list their trustees it is known that Gerald Ronson, the owner of the Heron group, gaoled during the Guinness Trial, is Chair of the Trustees. 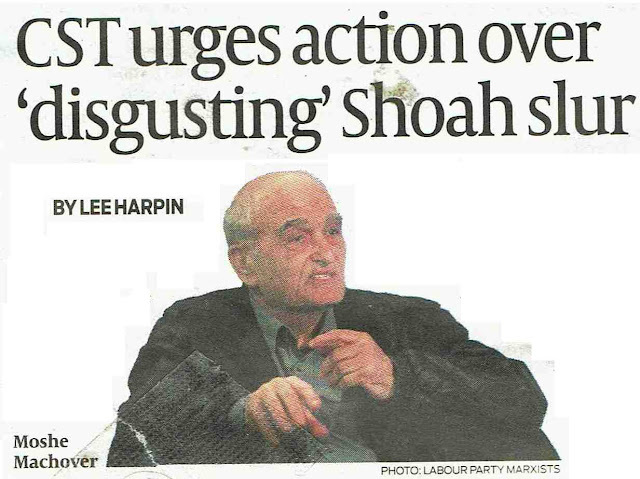 The background to the CST’s operations is what Tony Lerman, former Director of the Institute of Jewish Affairs and the Institute of Jewish Policy Research, described as ‘Israeli hegemony over the monitoring and combating of anti-Semitism.’ Lerman describes how, as the principal Editor of the Anti-Semitism World Report, he was put under pressure by London’s Mossad (MI6) representative either to cease publication or merge it with the Project for the Study of Anti-Semitism at Tel Aviv University under Professor Dina Porat, which was partly financed by Mossad. Porat is now the head of Yad Vashem and a dedicated Zionist Holocaust historian. Lerman describes how, with the Mossad pressurising individual Jewish communities world-wide his World Report ceased publication in 1999. This was a time when Israel was fashioning the ‘new anti-Semitism’ into a potent weapon that Israel could use. It fed into the prevailing idea that Islam was the main source of anti-Semitism. Anti-Semitism was increasingly defined in terms of Muslims not fascists or genuine anti-Semites. [See Tony Lerman, Anti-Semitism Redefined in ‘On Anti-Semitism’, Jewish Voice for Peace, Haymarket Books, 2017]. Netanyahu attempted to redefine anti-Semitism in terms of the Palestinians at the 2015 World Zionist Congress when he asserted that but for the Mufti of Jerusalem 6 million Jews would not have been exterminated. Netanyahu’s speech was a prime example of how Zionism distorts the Holocaust to fit in with the Zionist narrative, however I don’t recall any protests from the CST’s Dave Rich or Mark Gardener, both of whom reserve their venom for Jewish critics of Zionism. The CST is in the business of distorting and manipulating popular perceptions of anti-Semitism in the service of the Israeli state. The whole basis of Zionism is aliyah, the emigration of Jews to Israel. The only problem is that most diaspora Jews don’t want to live in Israel. Even when, as with France a few years ago, there was an upsurge of anti-Semitism and the murder of 4 Jews in the kosher supermarket, French Jews refused to come. Many of those who did come left again because their situation in France is so much better. One of the ways to persuade Jews to emigrate to Israel is to instil in them the perception of anti-Semitism and to create an atmosphere of fear and uncertainty whereby anti-Semitism is perceived as everywhere, all around us. A good example is the false anti-Semitism crisis in the Labour Party. 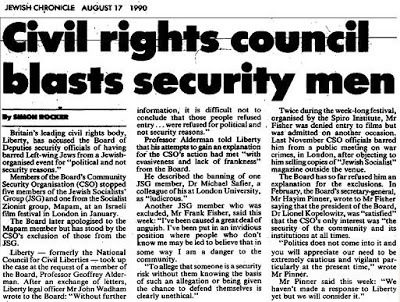 Most members know that anti-Semitism is non-existent in the Labour Party but if you looked at the headlines in the Jewish Chronicle then you’d think that the SS dragnet was about to close on every Jewish member of the Party. 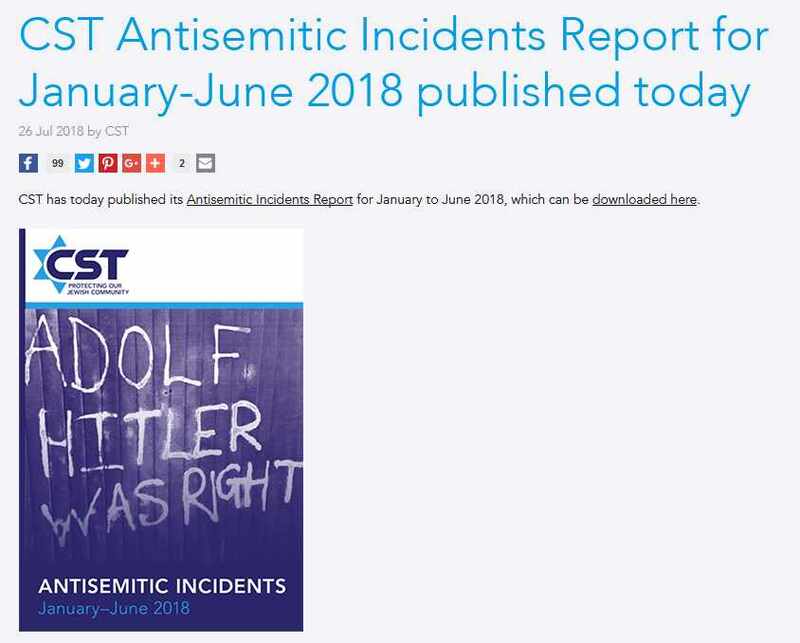 This is the role of the CST which produces every 6 months an Anti-Semitic Incidents Report. The latest Report was not accompanied by the usual publicity and scare stories in the news papers. Why? 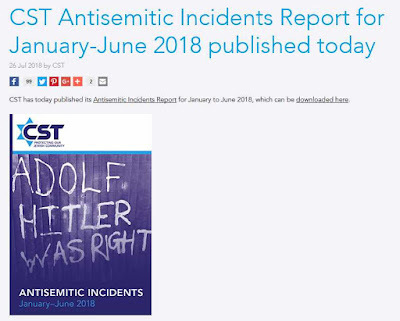 Because the number of ‘anti-Semitic incidents’ in the first half of 2018 fell from 767 in the equivalent period in 2017 to 727 , that is a fall of 8% . Even worse from the Zionist perspective, the number of violent incidents fell by a massive 26% from 80 to 59 in the same period. For the third year none of these violent incidents were classed as ‘extreme’ which means they didn’t involve serious or indeed any injury. I have commented before on how the small relationship of violent incidents to overall hate /incidents against Jews suggests that there is something dodgy in the latter figures. Usually there is a much larger proportion of assaults as part of overall hate incidents. In the case of religious attacks around 30% going up to 45% in the case of disability. Yet this year the proportion of violent attacks on Jews compared to overall hate incidents is just 8.1%, down from 10% last year. The only conclusion that can be drawn is that the number of hate incidents in inflated by things like social media trivia and comments about Israel which are interpreted under the IHRA definition as anti-Semitism. You might expect the CST to get the champagne out and celebrate the fall in violent incidents and how safe life is for Jewish people in Britain today. This is clear evidence of a decline in anti-Semitism from what were already small numbers. Not a bit of it. It is all sackcloth and ashes because from a Zionist point of view such statistics are extremely disappointing. Zionism’s core belief is that Jews do not belong where they live. If you are a good Jew you should abandon Britain and head for Israel. For the first time in years there was no publicity around these stats. The CST has a long pedigree of Zionist politics and hostility to the Palestinians. I have written about the CST’s well paid gravy train and their racist animus to Raed Saleh, leader of Israel’s Northern Islamic Leagues which the Israeli state banned without good cause. [see Lawrence Rubin of the Brookings Institution, Why Israel outlawed the Northern Branch of the Islamic Movement] The reasons for suppressing a mass movement of Israel’s Arab population were political not security related. This at a time when Israeli groups like Lehava, whose leader Benzi Gopstein has advocated the arson of mosques and churches, are left untouched. When the leader of the Northern Islamic League, Sheikh Raed Salah visited Britain in 2011 he was made subject to an Exclusion Order by Theresa May as Home Secretary and put in custody. However May forgot to inform either the Sheikh or Britain’s immigration officers! It was only after 3 days that he was arrested on the basis of information supplied by the CST. The only problem was that it was inaccurate. 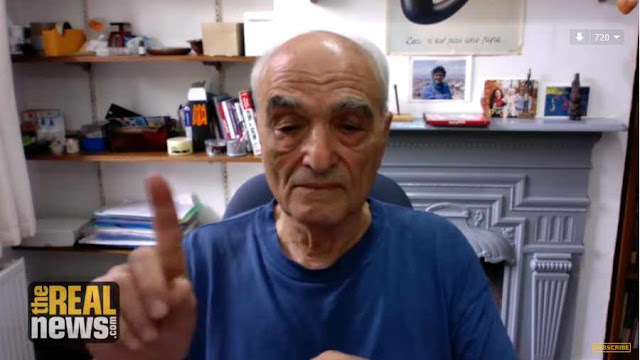 The CST’s evidence cited racist Hebrew University Professor Raphael Israeli who denounced Sheikh Raed Salah. Raphael Israeli was quoted in the Sydney Morning Herald, 16.2.07. [Limit Muslim migration, Australia warned] as saying that ‘When the Muslim population gets to a critical mass you have problems. That is a general rule’ Asa Winstanley of Electronic Intifada in The secret CST documents that smeared anti-Zionist Jews as extremists showed how the CST was responsible for feeding the Home Office with false information about the ‘anti-Semitism’ of Raed Salah, including a deliberately false translation of a poem of Salah via the Jerusalem Post. 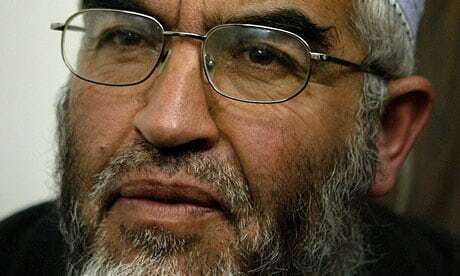 The result of the CST feeding the Home Office false information was that Mr Justice Ockleton in the Upper Tier Immigration Tribunal quashed Theresa May's Order and freed Raed Salah to continue with his tour. We should of course rejoice that Ahed Tamimi, who was only 16 when she slapped an armed soldier who invaded the grounds of her house, after shooting her cousin in the head at point blank range, has been released. 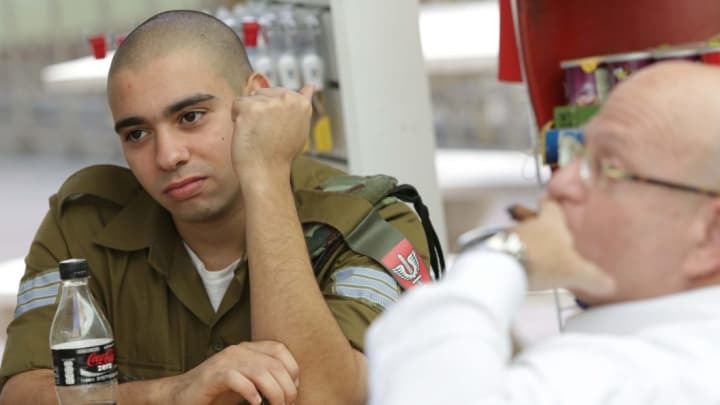 But we should never forget that the Kahanist soldier Elor Azaria, an army medic no less, served just 9 months in prison. Sentenced to 18 months Azaria had his sentence successively reduced to just one month more than Ahed’s. If it wasn’t for the cameras distributed by B’tselem then he would not have served any time as his crime was not reported by fellow soldiers. When Ahed applied in June for parole this was refused because she was a ‘danger’ to the Zionist occupiers. Yes she is a danger but not a physical danger but a political danger. If anyone is in danger of reprisals it is Ahed. She was subject to vicious attacks and threats by the Zionists, some ludicrous some sinister. She was accused of not being part of a real family by former Israeli Ambassador to the UN, Michael Oren, because he alleged her parents dressed her up in Western clothes and because he couldn’t handle her white complexion. 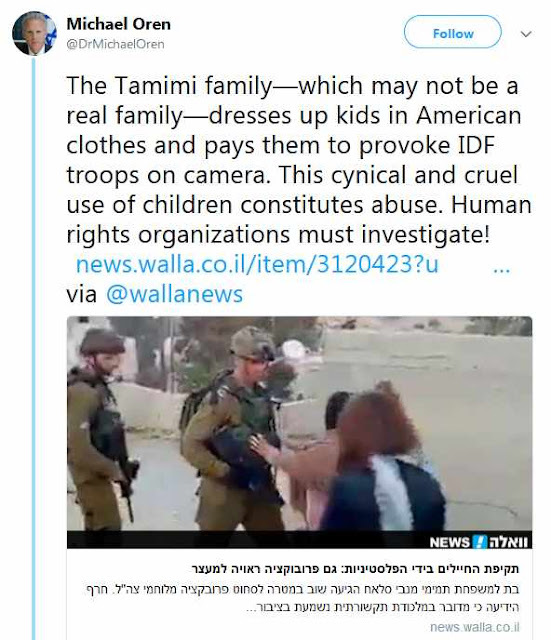 Apparently an investigation had been conducted into the Tamimi family two years before based on these racist stereotypes of what Palestinian families should look like. Ahed’s case should be used to publicise the plight of ALL Palestinian children in captivity in Israel. Ahed Tamimi and her mother Nariman are released after eight months behind bars for slapping an Israeli soldier. Ahed Tamimi, the Palestinian teenager who was arrested after being filmed for slapping an IDF soldier in her family’s yard, was released from Israeli prison Sunday morning, along with her mother Nariman, after eight months behind bars. 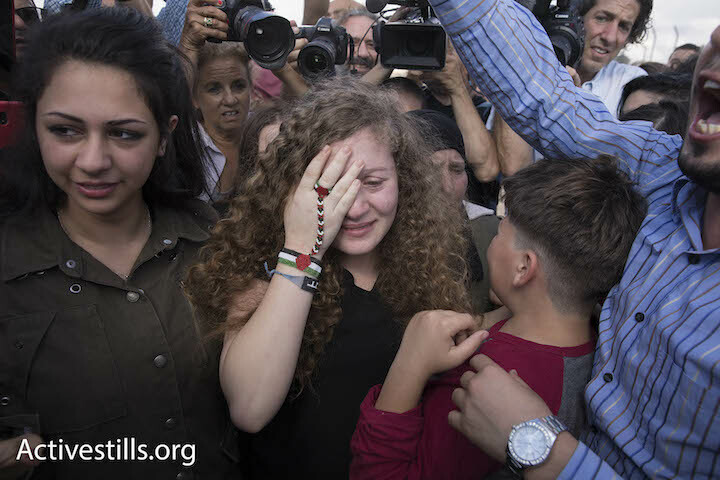 Upon their release, the two were greeted by Ahed’s father, Bassem Tamimi, as well as other family members. Also present were MK Aida Touma-Sleiman, Palestinian, Israeli, and international activists, along with news crews that spent the morning traveling back and forth between Jabara checkpoint and Rantis checkpoint in the early hours of the morning, after the army repeatedly changed the location of Ahed and Nariman’s release. 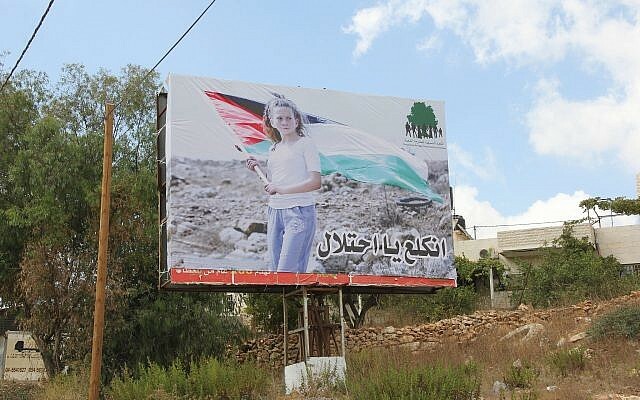 Ahed, 17, was arrested in December 2017 after a video of her slapping an Israeli soldier during a protest in Nabi Saleh went viral. The incident took place a few hours after soldiers shot Ahed’s cousin, Muhammad Tamimi, in the head with a rubber bullet. Shortly thereafter, soldiers showed up in the Tamimi family’s home; Ahed and her cousin Nur confronted the armed soldiers, demanding they leave, after which Ahed slapped one of the soldiers, while her mother filmed the incident. The soldiers, who seemed unfazed, left the home without making any arrests. Only after footage of the confrontation went viral did IDF soldiers return to the Tamimi home in the early hours of the morning to arrest Ahed. Nariman and Nur were also arrested. Ahed and Nariman’s trial, which took place at Ofer Military Court near Ramallah, turned into a media sensation. 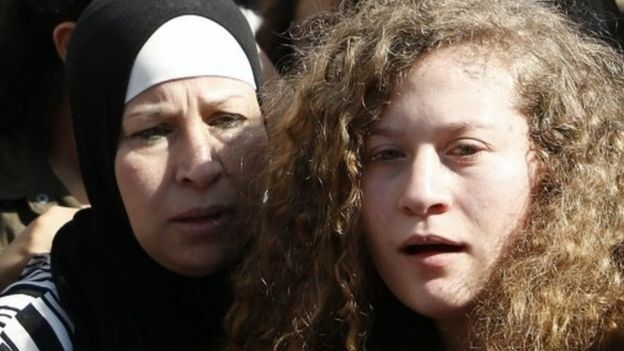 After a number of hearings, the court decided to kick out journalists and diplomats, ostensibly to protect Ahed’s interests as a minor. 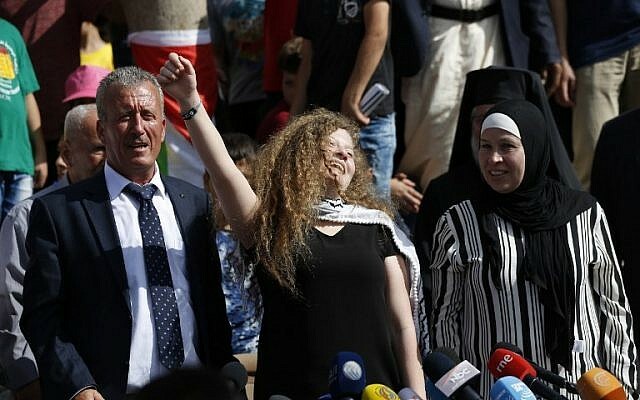 In March, Ahed, Nariman, and Nur signed a plea bargain according to which she would serve eight months in prison, including three months time served. 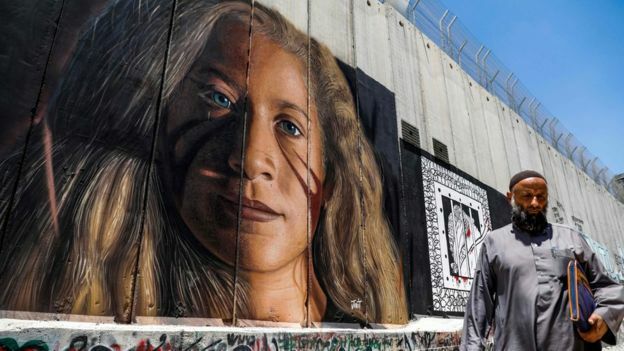 Ahed and Nariman are expected to visit the Muqata’a, the Palestinian Authority headquarters, in Ramallah on Sunday, where they will stop by Yasser Arafat’s grave and meet top PA officials. From there they will celebrate privately with family members before returning to Nabi Saleh. In the days after her release, Ahed will give interviews every day for one hour to all media outlets. Nabi Saleh will hold a large ceremony to celebrate her release this coming weekend. In the coming week she is expected to visit the Bedouin village of Khan al-Ahmar, which is at risk of demolition by the Israeli authorities. 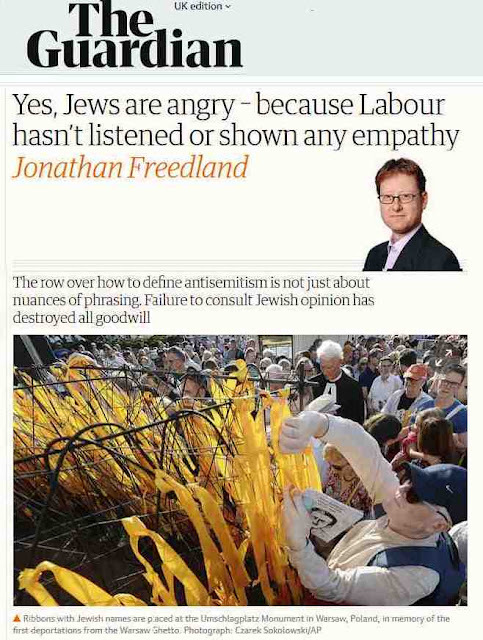 Why Does Jonathan Freedland Feel the Need to Lie to The Guardian's Readers? Freedland’s latest effort is Yes, Jews are angry – because Labour hasn’t listened or shown any empathy. You might have thought in the year of the Windrush scandal, when at least 70 Black people who came to this country 70 years ago, who the moment they landed were citizens of the UK and Colonies. Despite this at least 70 people were deported to the West Indies. Contrast that with Britain’s Jewish community. Not one of them have been deported. They are on average considerably better off than the average white person, there is no police violence against Jews or economic discrimination. The only section of the Jewish community that has suffered racist attacks is the Orthodox Jewish community who are visibly different. Physical attacks on Jews as Jews are extremely rare compared to Muslims and Black people In short there is no evidence of institutionalised anti-Semitism in Britain compared to the endemic racism against Black and Asian people. Yet the media is deluged with rubbish articles, of which Freedland’s is one, about anti-Semitism. You would be hard put to find a Freedland article on Windrush or anti-Roma prejudice. It is because Jews in Britain today are a comfortably off sub-section of the White population that Britain’s racist tabloids, two of whom employed the poisonous Katie Hopkins, are so concerned about ‘anti-Semitism’. The very same papers who demonise asylum seekers. Freedland’s article yesterday fits into this. Erroneous, self-centred, dishonest. You name it then Freedland has managed it. The only Opinion piece in The Guardian which has a balance of contributors is here. I realise that this letter, a response to Jonathan Freedland’s latest propaganda blast, is over the normal word limit for a letter, but as the saying goes, a lie can travel halfway around the world before the truth can get its boots on. If you feel that it is too long it can always be referred to the Comment Editor or is that Mr Freedland? What I find surprising is that Jonathan Freedland, a senior Guardian Editor, whose views on Israel are allowed to dominate the Opinion pages without let or hindrance, feels the need to emulate the principle that if you repeat a lie long enough it is likely to be believed. To deal with a few of Freedland’s points. i. Yes Zion is an integral part of the Jewish religion. However it has never had, until the late colonial period, any political significance. That was why when Zionism arose in the late 19th Century its fiercest opponents were Orthodox Jews. ii. If the idea of Israel/Zion had more than a spiritual significance why was it when the great emigration of two and a half million Jews from Czarist Russia occurred from the mid 19th century to 1914, barely one percent went to Palestine? There were no borders stopping them. The religious significance of Zion is not and never has been a justification for the ethnic cleansing of the Palestinians. Palestine was not a land without a people for a people without a land. That is a colonial myth. iii. Jews in Britain are not an ethnic minority, they are a religious minority and part of white British society. They are not in any way an oppressed group. iv. Nowhere does Freedland explain why the Oxford English Dictionary definition of anti-Semitism, ‘hostility to or prejudice against Jews’ is not sufficient to deal with genuine 24 carat anti-Semites. This six word definition is more than adequate to deal with those who talk about a ‘hook-nosed, bloodthirsty Jew’. There is also the definition drawn up by Brian Klug of Oxford University, in his lecture ‘What Do We Mean When We Say ‘Antisemitsm’? Echoes of shattering glass at the Jewish Museum in Berlin on the anniversary of Kristallnacht. Klug’s defined anti-Semitism as ‘a form of hostility to Jews as Jews, where Jews are perceived as something other than what they are.’ Is 21 words. v. Nowhere does Freedland explain why the IHRA definition, 500+ words, including 11 ‘examples’ of anti-Semitism, 7 related to Israel, is necessary. vi. Freedland says that the IHRA definition is ‘near universally accepted’. This is untrue. The IHRA definition is rejected by anti-racist, Muslim, Palestinian and civil society groups such as Liberty and the University College Union. It is though universally accepted by state bodies and governments, including the anti-Semitic governments of Hungary, Poland, Slovakia, the Czech Republic and Austria. Yes, anti-Semites have no problems with a definition of anti-Semitism that is based on support for Israel. Today the favourite refrain of anti-Semites and neo-Nazis such as the founder of the Alt-Right Richard Spencer, who defines himself as a White Zionist, is that however much they dislike Jews they love Israel. vii. Surely Freedland cannot be unaware that the Trump administration, which combines anti-Semitism and ultra-Zionism, also supports the IHRA? An administration that contained anti-Semites such as Steve Bannon, who objected to his children attending school with ‘whiny Jewish brats’ and Sebastian Gorka with his membership of the neo-Nazi Vitezi Rend? viii. Even leaving the aforementioned aside, why does Freedland feels the need to insult the intelligence of Guardian’s readers? Does Freedland really have such contempt for their intelligence that he treats them like the Daily Mail treats their readership? Leaving aside Freedland’s cheap reference to Thereisienstadt concentration camp or the gauche picture of the Warsaw Ghetto, although we know that comparisons with Nazi Germany, when made by Israel’s critics, even if they are Jewish, are ‘anti-Semitic’ according to the IHRA. ix. Freedland states that ‘the IHRA text explicitly says that if you criticise Israel the way you criticise other countries, it “cannot be regarded as antisemitic”. Most readers will not check the IHRA’s wording and will trust that what Freedland says is accurate. After all senior editors of the Guardian don’t lie, or do they? x. In fact the IHRA contains two references to criticism of Israel. The first states that ‘criticism of Israel similar to that leveled against any other country cannot be regarded as antisemitic’. 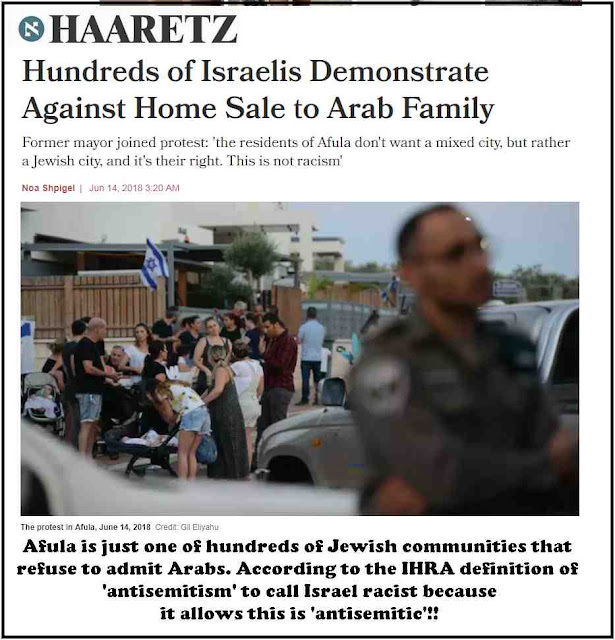 The only problem is that Israel is a unique ethno nationalist state which is a state of the ‘Jewish people’ wherever they may reside but not of its own citizens. This is entrenched in the Jewish Nation State Bill. xi. The second reference states that anti-Semitism consists of ‘Applying double standards by requiring of it a behavior not expected or demanded of any other democratic nation.’ I fail to understand why, even if someone did expect higher standards of Israel (e.g. because it claims the Holocaust as its moral legacy) that that would be anti-Semitic. Racism is about people not states. xii. Israel is not a democratic nation, indeed it is not a nation. There is no Israeli nationality. It maintains a military dictatorship over 5+ million Palestinians and when they protest it guns them down. Israel is a state that uses torture, imprisons and abuses young children and locks people up without trial. Arabs are effectively tolerated guests not even second class citizens of Israel. 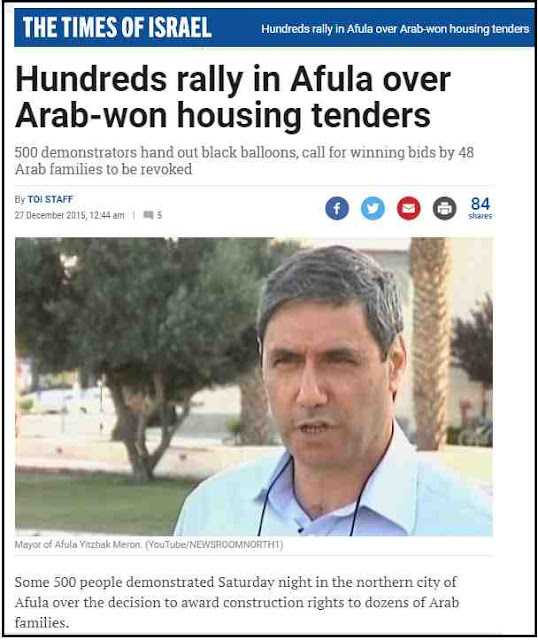 A situation where Arab Israelis do not have access to 93% of the land, where Israeli Jews demonstrate against an Arab family moving into the Jewish city of Afula is not a democracy. xiii. The IHRA has, according to Hugh Tomlinson QC, a ‘potential chilling effect’ on freedom of speech . 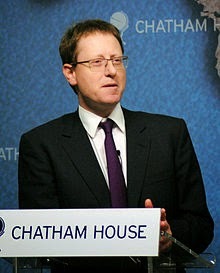 No less a person that Kenneth Stern, the author of the IHRA, in a written deposition to the House of Representatives in November 2017 described how the IHRA had been used to ‘restrict academic freedom and punish political speech’ and that it had ‘chilled pro-Palestinian expression.’ How strange that Freedland omitted the above in is heart wrenching tale of Jewish suburbia. Once again Freedland abuses his editorial position in order to wage a propaganda war against opponents of Zionism and Palestine solidarity campaigners. Not once has the Guardian granted a right of reply to Freedland’s critics. Where someone is attacked because they are Jewish there is no need to study a 500 word definition before taking action. Jonathan Freedland knows this very well yet he continues to treat the Guardian’s readers as if they were idiots. The IHRA is about curtailing free speech. Like all too many of his fellows, Jonathan Freedland no longer understands the difference between journalism and political propaganda and mendacious prse. We know that diplomats are sent to lie abroad for their country but does that have to be of Guardian journalists? This week I was in a house of mourning for an evening of prayers for the dead, part of what Jews call a shiva. We were there to remember a woman who had come to this country as a child refugee, having survived the Nazi concentration camp at Terezín, in what is now the Czech Republic. But I was struck by the words of the ancient prayers themselves, wondering what an outsider might make of them. For certain words kept recurring, as the holy texts invoked “the people of Israel” and asked that those grieving be comforted “among the mourners of Zion and Jerusalem”. I found myself thinking that it would be useful for those following the ongoing, apparently neverending row about antisemitism and the Labour party to see what I was seeing. For they would have learned two relevant things. First, that if Jews are hyper-alert to threats, with a radar acutely sensitive to the early signs of danger, that is partly because the Holocaust, the murder of 6 million Jews, is, for us, a very recent memory: part of our own lived experience, barely one generation away. Second, that while so many may wish to draw a clear, bright line between Jews and Israel so that you can hate the latter while showing no hostility to the former, it is a bit fuzzier than that. Because the idea of Israel – not the concrete reality, but the idea of Israel and Zion and Jerusalem – is so deeply woven into Jewish tradition and culture that it’s there in the very words we utter at the most intimate moments of our lives. The other thing they’d have heard if they had been at that shiva is a room full of Labour-supporting Jews sharing their fears about the party they, their parents and grandparents once called home. It’s the same conversation that Jews are now used to hearing, around synagogues and sabbath dinner tables, and which found expression in recent days in both Margaret Hodge’s outburst against Jeremy Corbyn, in which she called the party leader an antisemite to his face, and in an unprecedented shared front-page editorial published in three leading British Jewish newspapers, declaring that a Corbyn-led government would pose “an existential threat to Jewish life in this country”. How on earth has it come to this? How have we sunk to the point where the mainstream Jewish community sees Labour this way, and when a longtime anti-racist like Billy Bragg finds himself telling an ethnic minority that they have “work to do” if they are to win back Labour’s trust? Can it really be solely about Labour’s failure to adopt the full text of the near universally accepted International Holocaust Remembrance Alliance’s (IHRA) definition of antisemitism, including all its illustrative examples, so that this is an argument about sub-clauses and paragraphs? Is that all this is about? No. The definition row is the eruption, but the volcano itself goes much deeper. Churning inside are deep incomprehension and distrust, brewed over many years, if not decades. Start with the incomprehension. Part of the problem is that, for many, all this has seemed rather abstract: people keep referring to antisemitism on the left, but are rarely shown what it actually looks like. For them, the IHRA definition must seem like a weapon to be used against a hypothetical threat. But some of us see daily the tweets and Facebook posts, whether it’s the caricature of a hook-nosed, bloodthirsty Jew posted by a Labour councillor in Derbyshire, the overt Holocaust denial – “Holo-brainwashing”, in the words of a former Labour council candidate in Kent – or the endless talk of Rothschilds, Jewish control of the media, money and all the old tunes played against Jews for centuries. We see it; we get used to it. But it’s not abstract. The second level of incomprehension relates to Israel. Defenders of Labour’s code of conduct say it was necessary because the IHRA version conflates legitimate criticism of Israel with antisemitism. This makes plenty of Jews want to slam their heads on their desks in frustration, partly because the IHRA text explicitly says that if you criticise Israel the way you criticise other countries, it “cannot be regarded as antisemitic”, and partly because these Jews criticise Israel all the time themselves – never more so than in the week after Israel passed an appalling nation-state law which, in effect, officially confirms Arab-Israelis as second-class citizens. Bragg worries that the IHRA will silence the pro-Palestinian voice. But the only pro-Palestinian who needs to fear the IHRA is the one who wants to say Jews are disloyal to their own countries, that Jews are Nazis and that the very idea of Jews having a homeland of their own is “a racist endeavour”. You can say all of those things more easily under Labour’s new code – the age-old accusation of disloyalty, for example, is no longer classified as antisemitic – which is one reason why the vast bulk of the Jewish community opposes it. But the IHRA itself, properly applied, allows plenty of scope. You can, if you want, say everything the state of Israel has done since its birth has been racist. All it prohibits is branding as a racist endeavour “a state of Israel” – the principle that Jews, like every other people on Earth, should have a home and refuge of their own. And if you want to make a serious analogy with the historic past, you can do that too, because the IHRA allows for context. Given all that, when Jews hear that the IHRA is not good enough, so that Labour had to draw up a code of its own, they wonder: what exactly is it that Labour wants to say about us? Still, as I say, this is not really about clauses and paragraphs. If there had been goodwill and trust, Labour could have sat down with the Jewish community and ironed out any wrinkles, perhaps by adopting the IHRA’s definition in full and then adding a couple of caveats explicitly protecting free speech. The trouble is, there is no such trust, and Labour attempted no such thing. Instead it drew up its code of conduct itself, without consulting the organised Jewish community at all. Yet, when Jews express their disquiet, they are not greeted with empathy and solidarity from the army of self-described anti-racists. Instead, they face an online horde shouting in their faces, accusing them of dishonesty, of smears, of ulterior motives and hidden agendas, of shilling for an Israeli government many of them oppose. And it ends in the dispiriting sight of a good man like Bragg – no antisemite – taking up a position antagonistic to Jews, telling them they need to behave, just to defend the party and the leader. So yes, maybe that editorial printed in the Jewish newspapers was over the top. But you know what? It reflects the anxiety that many, if not most, in the Jewish community feel. And given our history and the hyper-vigilance it has left us with, it might be an idea to stop wagging a finger and telling Jews, yet again, that they’re wrong – and just listen.